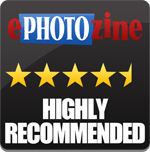 Gary Wolstenholme reviews the 45mm telephoto lens for Samsung NX cameras. 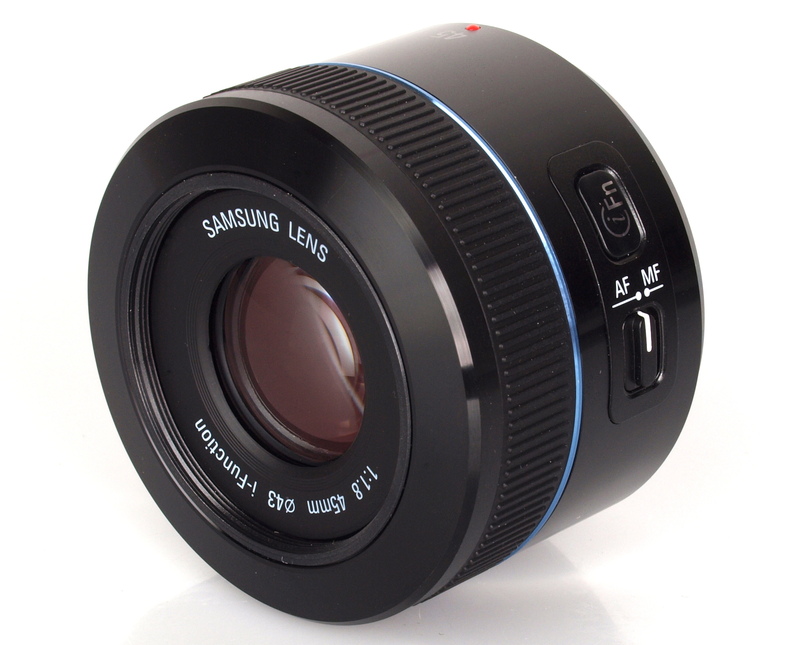 This telephoto lens for Samsung NX cameras provides an angle of view equivalent to a 70mm lens on a 35mm camera. It sports a fast f/1.8 maximum aperture and costs around £230. The lens barrel is constructed from high quality plastics and the lens mount is metal. 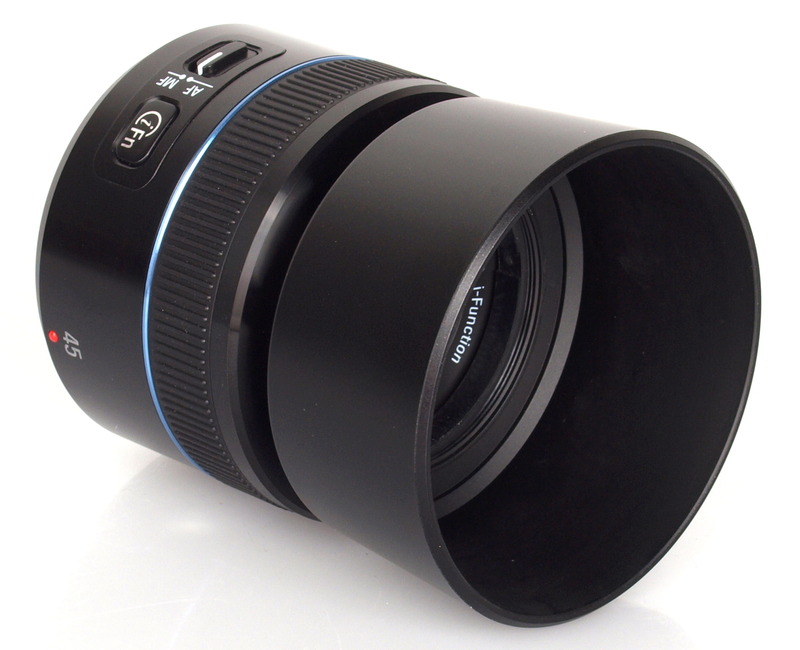 The lens is finished with a smooth glossy finish and a blue metallic ring between the lens body and focusing ring. With a weight of only 115g and being only 44.5mm long it makes a reasonably compact combination with the Samsung NX20 body used for testing. Focusing is performed internally, and the 43mm filter thread doesn't rotate, which is ideal for use with graduated and polarising filters. Auto focus is fast and accurate enough to be used confidently at maximum aperture. In manual focus mode the screen instantly magnifies the centre section of the image, making fine adjustments straightforward. This lens supports Samsung's i-Function feature, which allows manual controls to be accessed quickly via a button on the lens body. The minimum focus distance of 45cm isn’t overly close for a lens of this focal length, limiting its ability to take frame filing shots of smaller objects. Sharpness at maximum aperture is already outstanding across the frame and stopping down the aperture to between f/2.8 and f/4 results in a further increase in sharpness towards the edges of the frame. 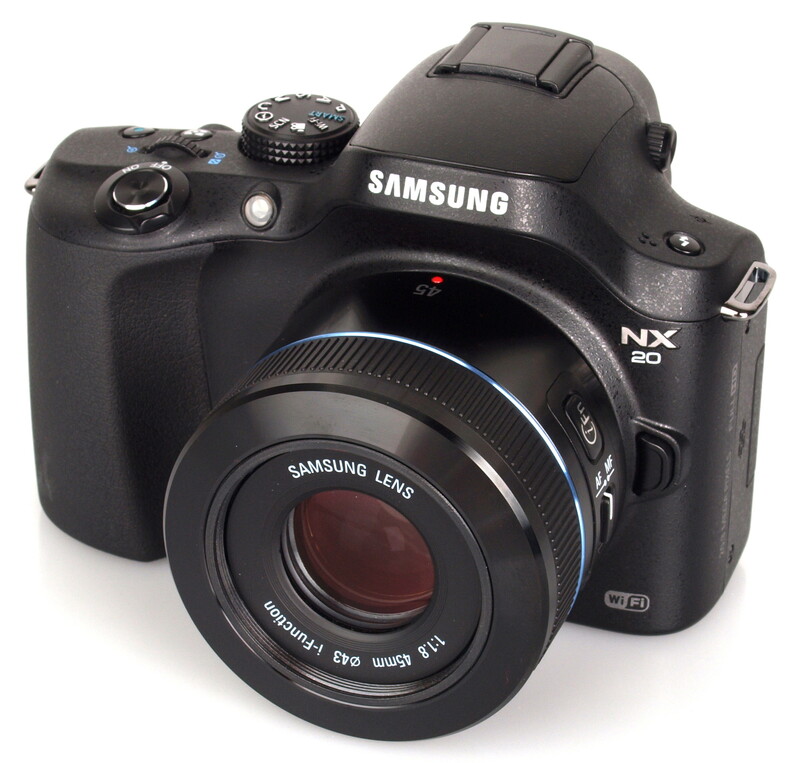 For this review, the lens was tested on a Samsung NX20 using Imatest. 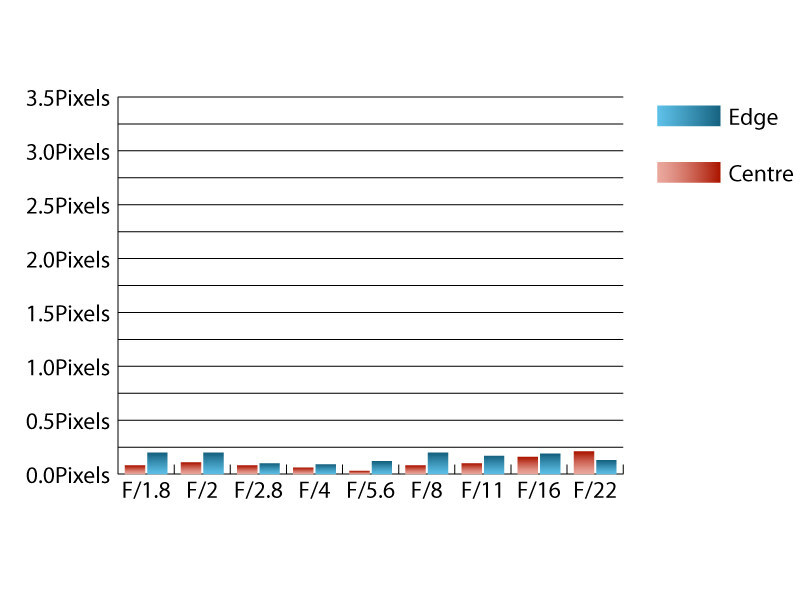 Only slight traces of chromatic aberrations were picked up by Imatest during testing. These low levels of fringing will be virtually invisible in normal picture taking, even on close inspection. Falloff of illumination towards the corners is very well controlled for a wide aperture lens with the corners only being 0.5 stops darker than the image centre at f/1.8. Stopping down to f/2.8 or beyond results in visually uniform illumination. A slight amount of pincushion distortion is present in images taken with this lens. Imatest detected 0.589% pincushion distortion, which is even across the frame, so it should be easy to correct in image editing software afterwards if required. A deep circular lens hood is provided with this lens as standard, which does an excellent job of shading the lens from extraneous light that may cause flare of loss of contrast. Contrast holds up well when shooting into the light. Considering how this lens performs, the launch price of around £230 seems very reasonable indeed. As no third party manufacturers currently produce lenses for the NX system, Samsung have a monopoly on lenses compatible with their cameras. Samsung have created a lens which delivers excellent sharpness from maximum aperture, very low levels of fringing, low falloff and distortion. It is as close to flawless as can be had, especially for the asking price of around £230. This lens should make a great addition to any existing Samsung NX kit, and the fast maximum aperture will be a bonus for shooting in low light, or for isolating your subject from the background. The Samsung 45mm f/1.8 NX i-Function lens is well built, lightweight and offers excellent sharpness from the maximum aperture. A closer minimum focusing distance would've been a nice feature. hi Gary, doesn't Samyang produce lenses suitable for the NX cameras? 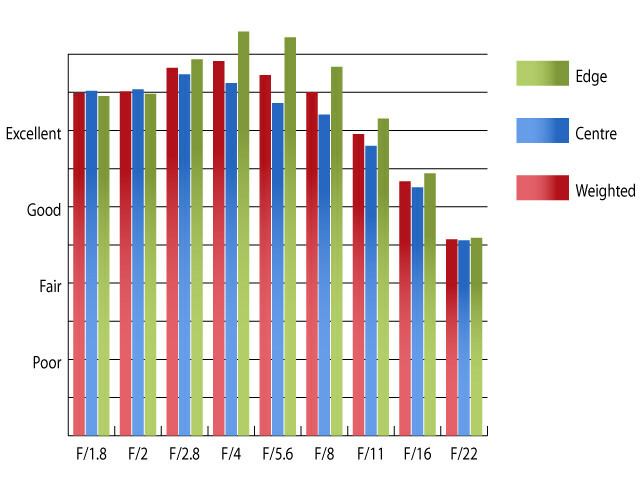 Although oligopoly both (Samsung and Samyang) seem to serve the -small?- NX market well. [quote]hi Gary, doesn't Samyang produce lenses suitable for the NX cameras? Although oligopoly both (Samsung and Samyang) seem to serve the -small?- NX market well. [/quote] Yes, although the last time I checked they didn't produce a lens at this focal length. Quote:hi Gary, doesn't Samyang produce lenses suitable for the NX cameras? Although oligopoly both (Samsung and Samyang) seem to serve the -small?- NX market well. Yes, although the last time I checked they didn't produce a lens at this focal length. 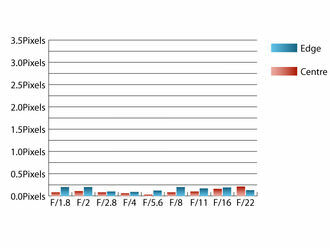 Could anyone comment on how the 2D/3D 45mm f1.8 (EX-S45ADB) compares to the lens in the review (S45ANW). I am struggling to find the lens in the review stocked anywhere and was wondering if it has been superseded by the EX-S45ADB. Trying to get my hands on one of these but struggling to find one in the UK. Does anyone know how the 2D/3D model will work on my nx3300? I know it can't capture 3D images, but is the 2D functionality the same, ie can it autofocus and link wirelessly to my phone? Or does anyone in the UK have one of these they'd like to sell me? Or a third party solution?